Marrakech was a very nice riad with a small swimming pool, but a good breakfast and perfectly located. It was called Riad Karmanda. In Sevilla we stayed in a NH Hotel for two nights and one week in a very nice apartment. Both Sevilla and Marrakech are great cities. 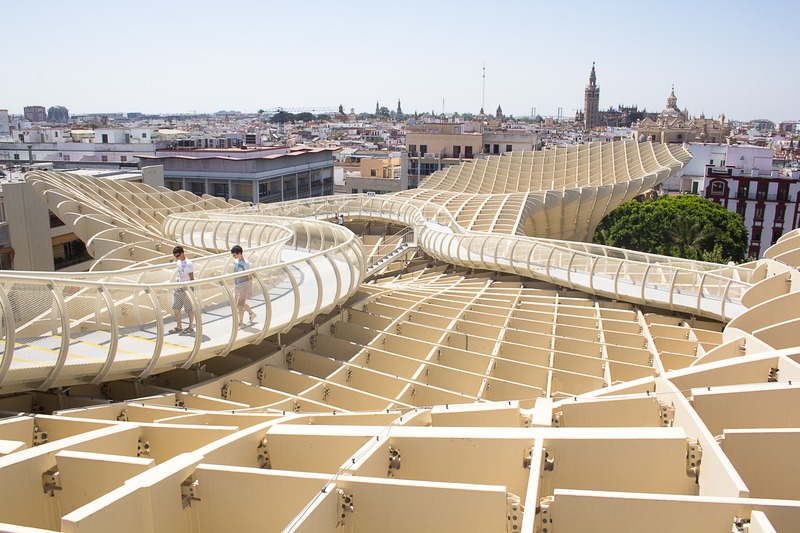 Sevilla is known for tapas, Arabic influences and bull fighting. Marrakech is a typical North-African city with liters of fresh orange juice, donkeys and a lot of old mopeds. I won’t bore you with a detailed report of my trip. I just give you a short summary of the places where my stomach had a highlight. 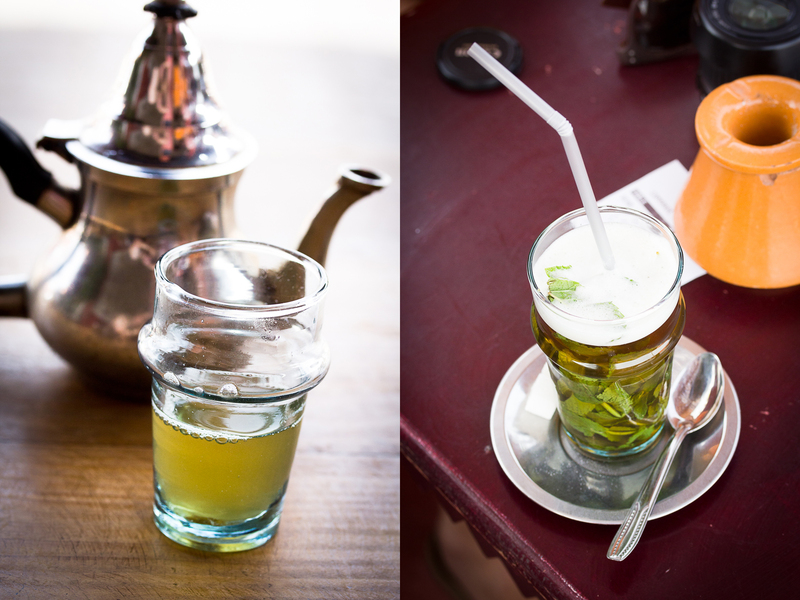 Get ready for Marrakech and Sevilla from a foodie point of view. For our last evening we went to this nice restaurant in the middle of the souqs. The restaurant is on a roof. It’s from the same owners of Café des épices. They had some delicious looking daily à la carte specials. I tried the 8 hours slow cooked lamb. I’ve got a plate with a lot of tender lamb. One of the best lamb I ever ate. Djemaa el Fna is square and market, where the magic happens. During the day it’s occupied by orange juice stalls, men with chained apes and snake charmers who will pose for photographs (and ask for money). As the day progresses, the square changes. Late in the day it becomes more crowded with Chleuh dancing-boys, story-tellers and magicians. 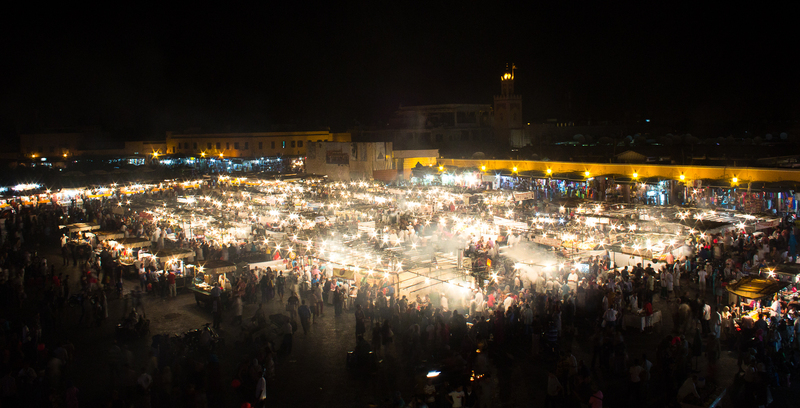 As the night falls, the square fills with dozens of food stalls as the number of people on the square peaks. The fresh orange juice for 40 dirhams or < €0,4 is so refreshing on a hot afternoon. The food stalls are, my opinion, a bit tricky. It’s hard to know what you will eat and pay. The men are very pushy and the quality of the food isn’t so good. It’s nice for once in a lifetime, but I prefer the more calm (and yes more touristy) roof terraces. For the photographers: Go to Café du Grand Balcon. You will have the best view of the square. One of those terraces is Les terrasses de l’Alhambra. You have a nice view of Djemaa el Fna. 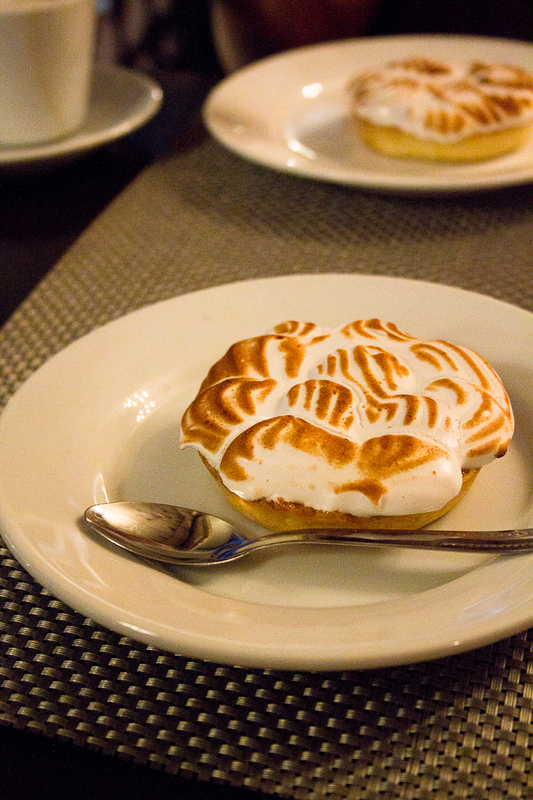 Besides that, they also have delicious lemon pie. It’s not the cheapest place, but it’s worth it. You will find this bar at Avenue Mohamed V in “Nouvelle Cité”. There is not a lot to see in this part of the town, but the ice cream is worth coming. It’s almost as good as the true Italian gelato. I think that this bar is the best place to eat ice cream in Marrakech. Maybe there is an other bar that I don’t know. So feel free to share your opinion with me. You will find this restaurant at Alameda de Hércules, nr. 76. We didn’t know anything of this restaurant. Our Lonely Planet not mentioned it. We just had a quick look at the menu, outside the restaurant and tried it. It was more than just delicious. We were with six people and we all liked it so much. For really not a lot of money they served really original, but fresh tapas. Every tapas was just a little painting that tasted impressive. The pictures will follow, but if you ever go to Sevilla, try this restaurant. You won’t regret it. In the middle of the center you’ll find Bar Europa. 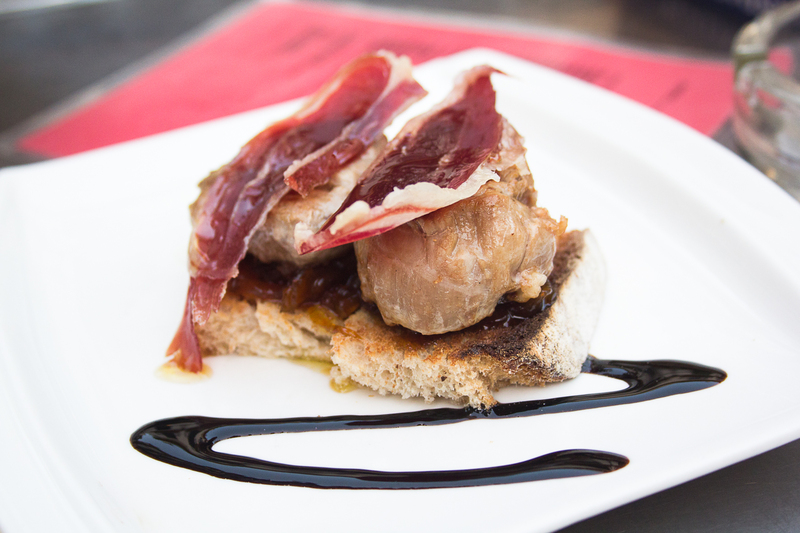 Located at Calle Siete Revueltas 35, it offers delicious tapas. It’s less original and less gastronomic than Al Ajibe. It’s still more innovative than a common Spanish tapas bar though. That’s why one of their tapa was voted the most innovative tapa in 2006. Their terrace is on a little cosy square, perfect for a summer evening. After nearly forty years in “temporary” accommodation, this market got a brand new building, called the Espacio Metropol Parasol. Locally, this building is called, for obvious reasons, the “Setas” (Mushrooms). It’s a very nice giant and modernistic sculpture. You can walk on the roof, from where you have a great view of the town. At ground level you find the Mercado de la Encarnacion. You know I like to do some local things. So my first day in Sevilla I went to this food market with my shopping trolley. I tried to explain the vendors what I wanted to buy and came back with a trolley full of groceries. They really have everything to survive in such a Mercado: fish, meat, bread, vegetables, cheese and fish. I guess everything’s fresh. I bought different kinds of cheese, fresh fruit, red peppers, green lettuce and bread. 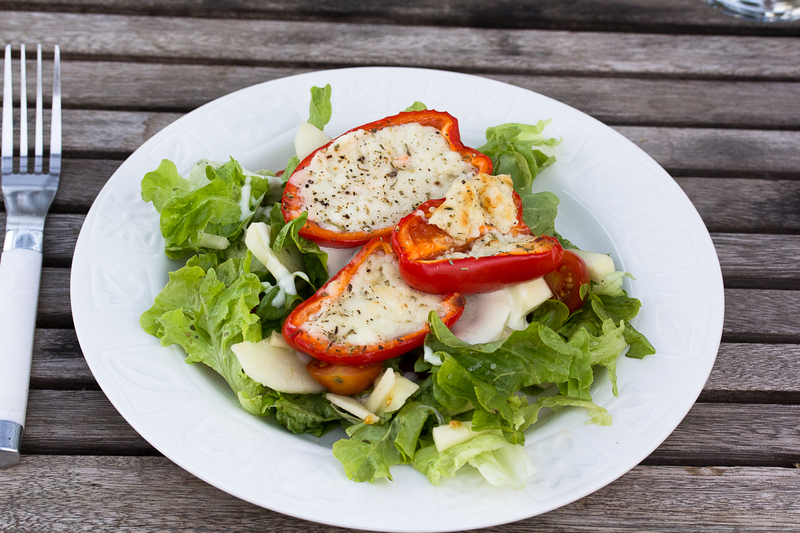 With these things I made the dinner for my friends: a fresh salad with grilled peppers, filled with two different kinds of Goat cheese. I have to say that it tasted delicious. How nice would it be if we would have such a nice place to shop in Belgium? I really like the idea of a place where they have fresh good quality food. The food isn’t imported from somewhere far away, but comes from a local farm. If someone has such an idea, I’ll be your first customer. These were the favorite places of my stomach. As I already said, feel free to share your experiences with me. Looking forward to see if I’m the only one who liked something or not.